When shampoo hits my hair, the texture seems to change. It can start out detangled with tons of slip, but when I start shampooing (even with sulfate free shampoos) it feels dry, hard, and tangled within a few seconds. I'm sure there is some ingredient or ingredients that I haven't pinpointed that's causing all the problems, but until then I've decided cowashing is the way to go. What is cowashing? Cowashing simply means to wash your hair with conditioner instead of shampoo. I'm used to doing this process with virgin Brazilian and Peruvian weaves and wigs, but it's not a practice that I've used on my own hair until recently. I've found that cowashing keeps my hair soft, moisturized, and makes detangling a breeze, so I'll save shampooing for once a month when I need to clarify my hair. 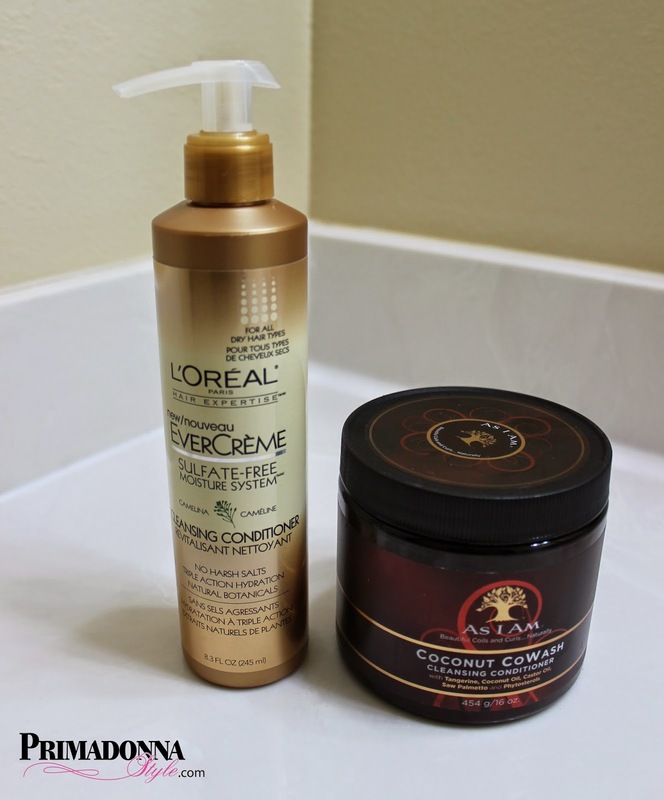 L'Oreal Paris EverCreme Sulfate-Free Moisture System Cleansing Conditioner is my new favorite. The scent reminds me of a light body wash or perfume though I can't quite put my finger on what to compare it to. I apply to my damp hair in the shower after a prepoo/detangling session. What I like about this cleansing conditioner is that it still provides a light lather and makes me feel like I'm really getting my hair clean. 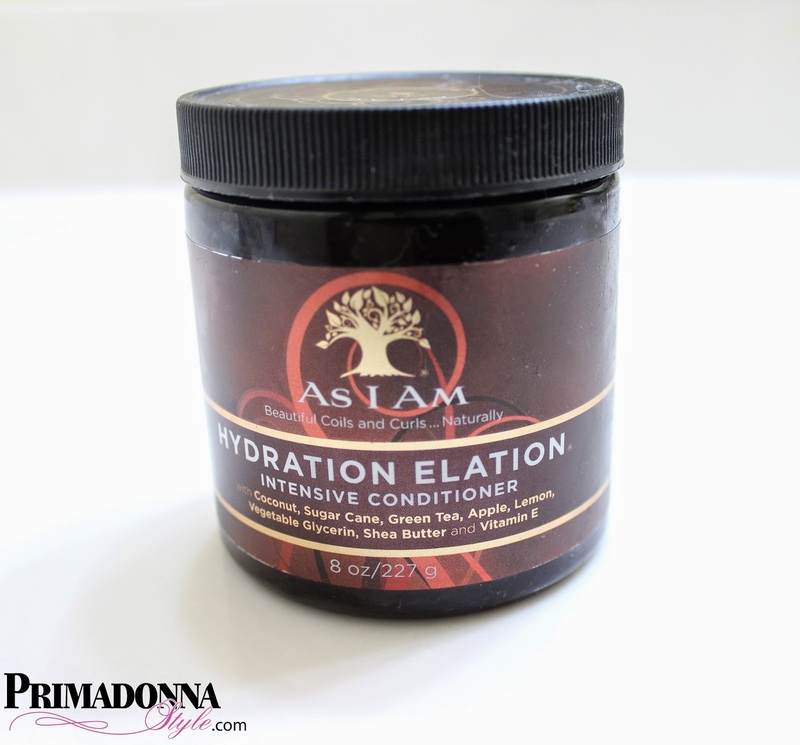 After rinsing out the product my hair stays detangled and soft. I don't recommend following the instructions on the bottle that say there is no need for a separate conditioner. This product performs more like a creamy shampoo that doesn't strip the hair, so I still follow this product with a separate conditioner. I wasn't looking to skip the conditioning step so this fits my needs perfectly, but if you are looking to save time, then I would look elsewhere. 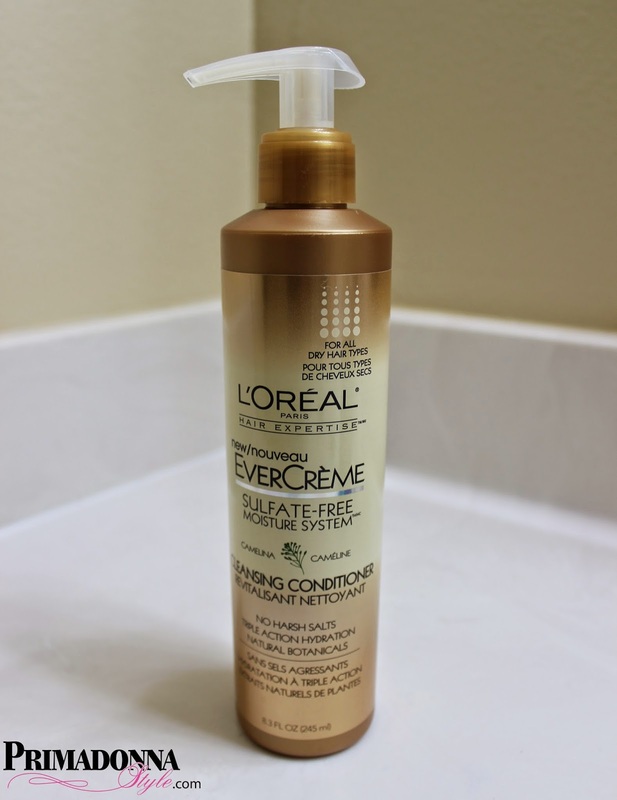 L'Oreal Paris EverCreme Sulfate-Free Moisture System Cleansing Conditioner consistency. As I Am Coconut Cowash Cleansing Conditioner comes in a very close second. This conditioner has a slightly coconut scent but not overwhelming. The texture is a bit looser than the EverCreme Cleansing Conditioner and reminds me of yogurt. 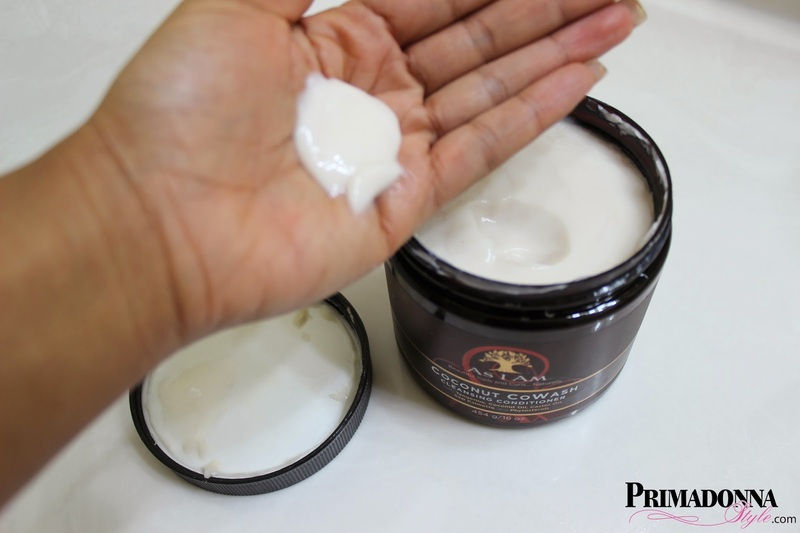 It has a good bit of slip, so it has worked well for me as a detangling prepoo as well as a a cowash, I apply it to damp hair and massage thoroughly as if shampooing. This formula has no lather. After rinsing it leaves my hair feeling soft, but I usually have to work though a few tangles with my wide tooth comb. I also follow use of this cowash with a separate conditioner. As I Am Coconut Cowash Cleansing Conditioner consistency. 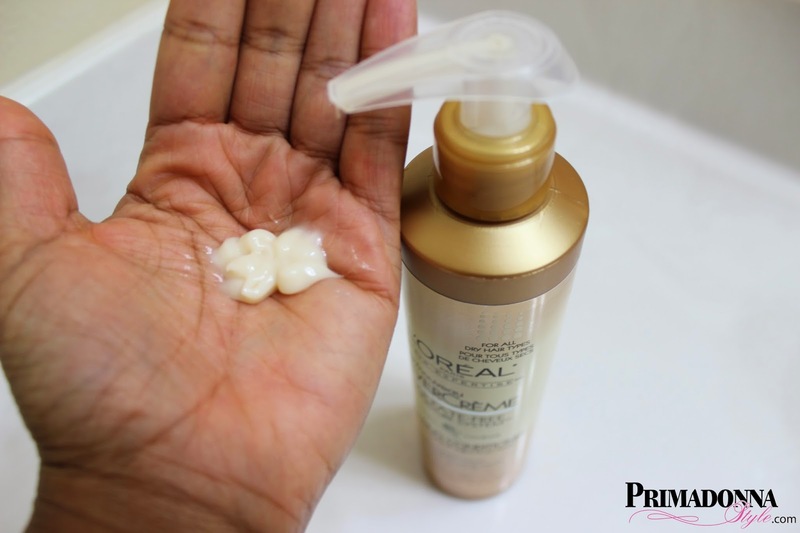 Overall L'Oreal EverCreme Cleansing Conditioner leaves my hair soft with less tangles, but not as moisturized, and As I Am Coconut Cowash Cleansing Conditioner left my hair feeling more moisturized but with a few tangles. I alternate using them weekly and will probably continue to repurchase both. What's your favorite cowash product?